It is no secret that I love tea. 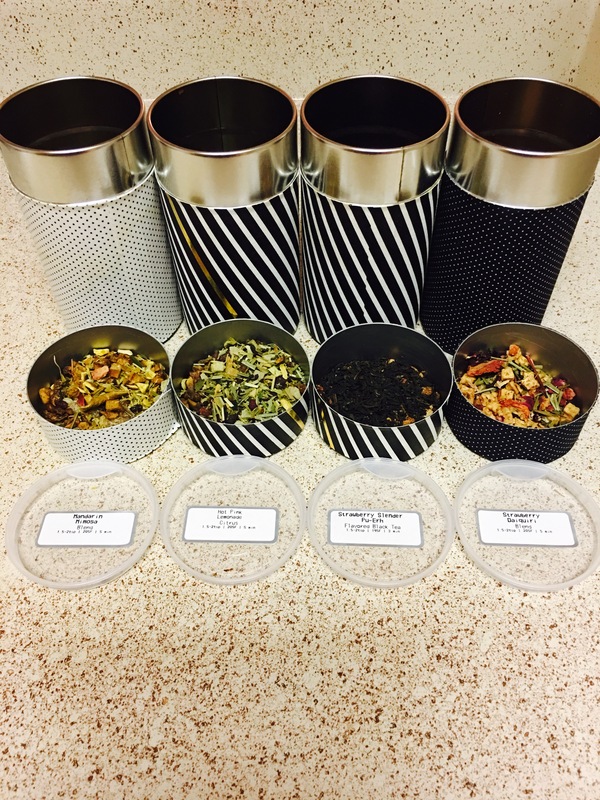 Last week I took a trip to Teavana to get new summertime tea. 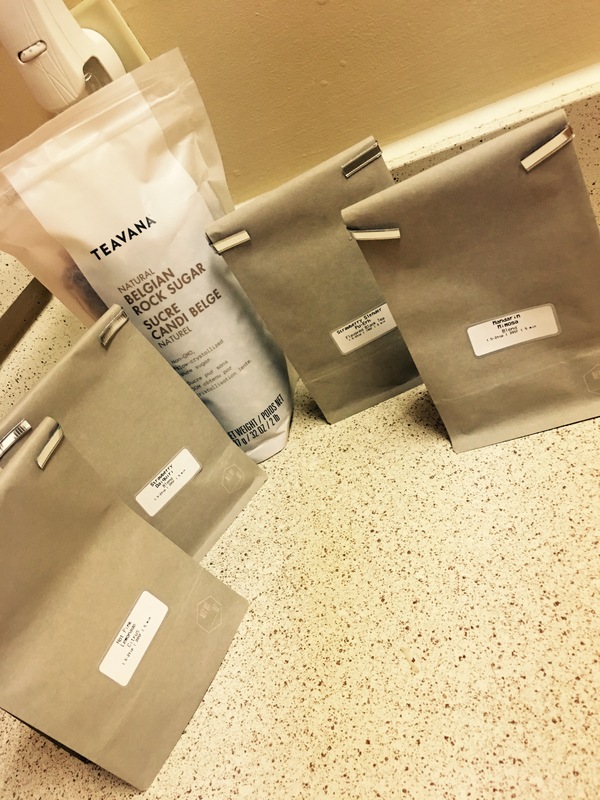 I normally go to teavana once in the summer and once in the winter and buy my tea in bulks. I enjoy brewing a fresh pitcher of tea every Sunday to have for the week. In the store, they bag the loose leaf in paper bags. When I get home, I transfer them into my tea canisters for storage. 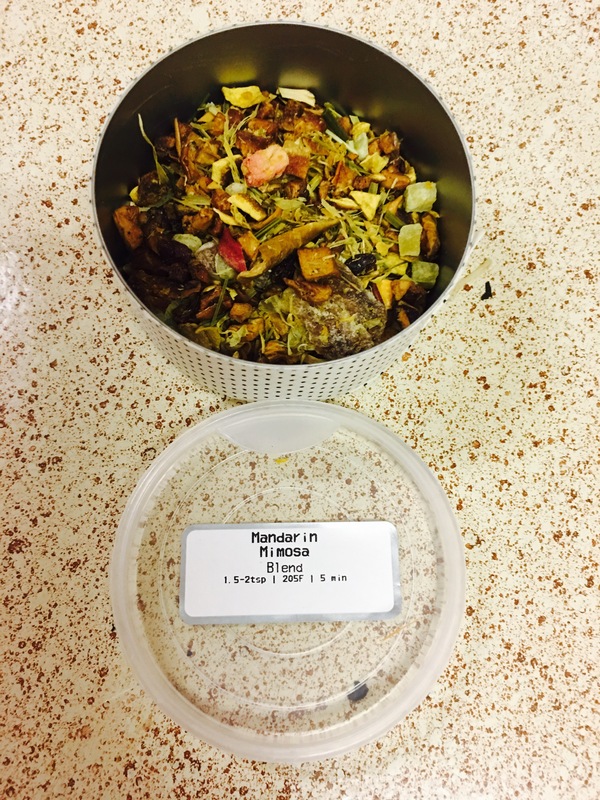 Mandarin Mimosa is a blend of two types of loose leaf teas. When I was in the store they were sampling this one. I had like 3 cups as I made up my mind about what I wanted. It was really good, more fruity than sweet. Hot Pink Lemonade is a citrus tea. I have never tried it before but I thought it would be a good summer time tea that I can mix with fresh squeezed lemonade. 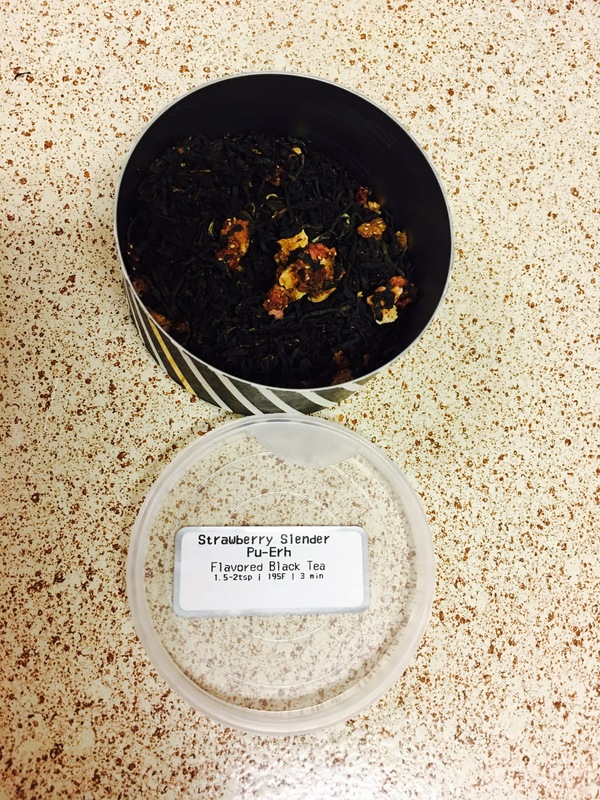 Strawberry Slender is a flavored black tea. I have purchased this tea many times before. I like to mix with pineapple juice and add slices of strawberries. Strawberry Daiquiri is also a new buy for me. 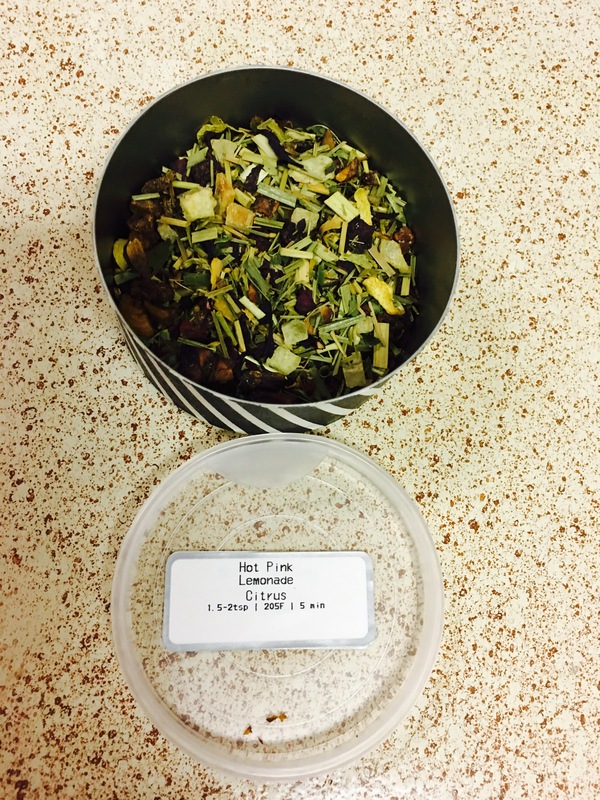 It is a blend of two types of loose leaf teas as well. The loose leaves were sampled in a dish and it smelled so wonderful and fruity. I just had to have it. 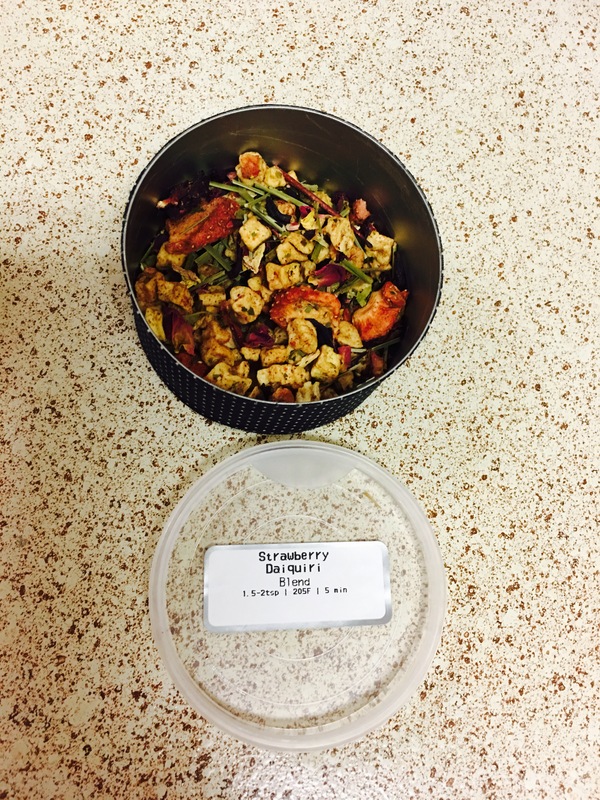 This tea is actually really heavy with dried fruit, so it may look like you’re only getting a little bit. But a little bit goes a long way.